Which suppliers will survive the electric era? 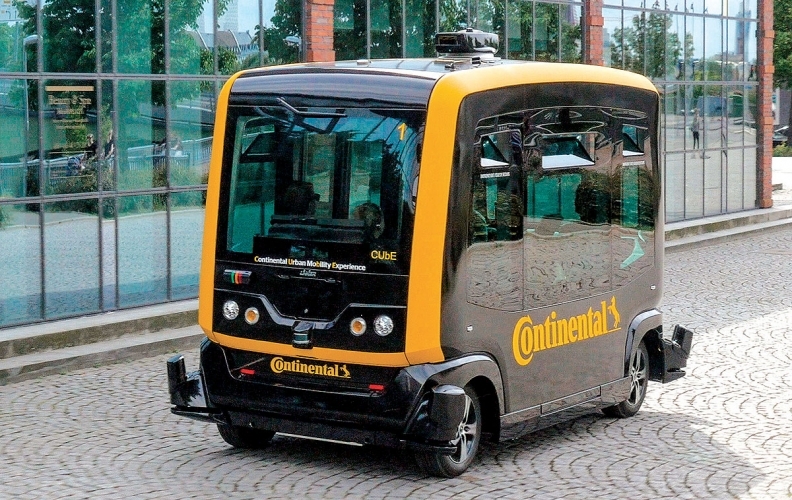 Supplier Continental has already embraced electrification with development of this robo-taxi. For traditional auto parts suppliers, the electric car may prove to be the meteor that wipes out the dinosaurs. As many as 75 of the industry's top 100 suppliers will face irrelevance by 2030 unless they establish a niche in the market for electrified cars, concludes a just-released study. "Vehicle electrification is coming much faster than most industry analysts expect," said Paul Eichenberg, a suburban Detroit consultant who authored the report. "Many CEOs are so focused on this quarter's earnings that they are not seeing the future." By 2030, 57 per cent of vehicles produced each year will be electric vehicles, plug-in hybrids or vehicles with 48-volt electrical systems, Eichenberg predicts. That will create a US $213 billion annual market for the batteries, motors and electronics required to power EVs, plug-in hybrids and mild hybrids. The warning is certain to resonate this week in Traverse City, Mich., where automakers, suppliers, consultants and vendors are gathering for the Management Briefing Seminars, an annual industry deep-dive hosted by the Center for Automotive Research of Ann Arbor, Mich. Many attendees there know the auto business is spinning from the pace of rushing toward self-driving vehicles. Many believe the shift to autonomous technologies and electrification go hand in hand — both trends ushering in radical technological changes. The question posed by Eichenberg, a former vice president of strategy at Magna Powertrain and Magna Electronics: How many companies will the changes leave behind? Self-driving vehicles will require technologies such as steer-by-wire, brake-by-wire and sophisticated onboard computers, which will significantly increase electrical consumption. Escalating global carbon dioxide regulations are also driving the trend toward electrification. Tough new CO2 emissions standards in Europe and China are about to take effect. In 2020, the European Union's Euro 6 standard will require a fleet fuel economy equal to 57 mpg, and proposed regulations could push that to 73 mpg by 2030, Eichenberg said. Automakers plan to meet those targets with a mix of EVs, plug-in hybrids and mild hybrids. Mild hybrids — vehicles with internal combustion engines that have been upgraded with 48-volt electrical systems, stop-start and regenerative brakes — are offering some suppliers a fast path into electrification. At an added cost of US $1,000-$1,200, vehicles with 48-volt systems can achieve half the CO2 reduction of a full hybrid, but at 30 per cent of the cost. "This is an elegant solution — especially for bigger vehicles," Eichenberg said. "Larger vehicles will lend themselves to this technology while smaller vehicles will be plug-in hybrids or EVs." A number of key suppliers are betting on this trend and investing to reposition themselves. In 2012, Continental AG added 48-volt systems to its portfolio by spending US $1.2 billion to develop technologies for electrified vehicles. It was part of a two-pronged strategy that assumed automakers will electrify their conventional vehicles in the short run, then gradually transition to EVs and plug-in hybrids. That investment began to pay off in 2016 when Renault added Conti's 48-volt system to the Scenic multipurpose vehicle. Over the next two years, five more automakers plan to add Conti's 48-volt system to their vehicles. "It's a cost-effective transition" to EVs and plug-in hybrids, said Kregg Wiggins, senior vice president of Continental's powertrain division. "Production of combustion engines is still approaching its peak. There is a lot of opportunity." In 2020 or 2021, Continental expects its electric drive business will generate sales of about US $1.2 billion, up from an estimated US $152 million this year. To fuel this growth, the company announced in April it would spend an additional US $351 million by 2021 to develop EV products. The company is developing EV charging systems, electric axles, AC/DC converters, battery management systems and electronics, Wiggins said. Markets for those components are expected to bloom over the next decade or so, and Conti expects its annual sales in that sector will hit more than US $2.3 billion by 2025. 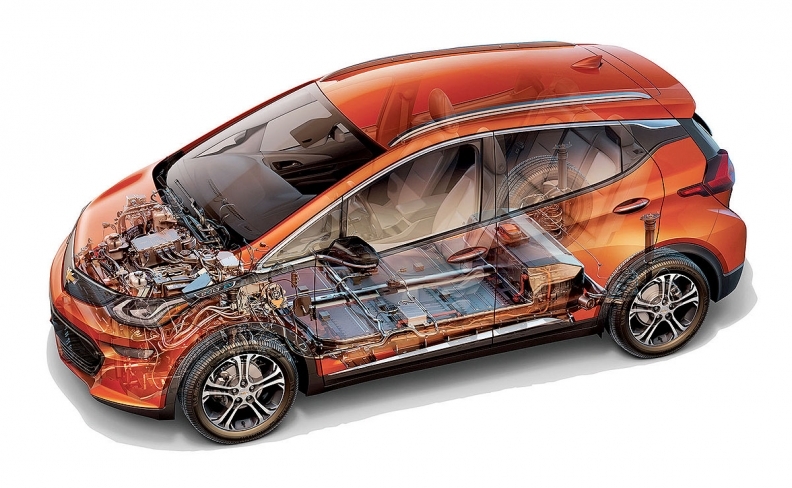 Hybrids and EVs will require plenty of specialized hardware from suppliers. But it is the software that will drive profits. Delphi Automotive, for example, is promoting its ability to integrate 48-volt systems with a mild hybrid powertrain. The trick to that technology is in the software that controls when the vehicle should use its electric motor and when it should switch to the gasoline engine, said Mary Gustanski, Delphi's vice president of engineering. "The key is knowing when to use your electric power," Gustanski said. "There are certain times when electrification gives you a lot more value for power. That's all done with software." Delphi's latest project: combining a cylinder deactivation system — dubbed Dynamic Skip Fire — with 48-volt technology. Gustanski said the combination reduces fuel consumption up to 19 per cent. Delphi also touts its technology portfolio for EVs, but 48-volt systems have one big advantage: Automakers need them now, and demand will keep growing over the next decade. By 2030, annual sales of 48-volt systems are expected to grow to US $29 billion globally, according to Eichenberg. It is between 2025 and 2030 — as EVs and plug-in hybrids attain mass-market status — that Eichenberg's meteor appears likely to hit suppliers. That's because automakers will tap the consumer electronics industry for cutting-edge technology, rather than waiting for traditional parts makers to catch up, Eichenberg said. Consumer electronics purveyors such as LG Electronics, Toshiba, Bosch and Panasonic will exploit their economies of scale to reduce the cost of EV electronics. Likewise, automakers will turn to battery makers such as LG Chem, Panasonic, Samsung, Toshiba and Hitachi to secure a stable supply of batteries. That trend has begun. In February, Honda Motor Co. announced a joint venture with a Hitachi subsidiary to produce EV motors. And General Motors is working closely with LG Electronics and LG Chem, which produce key components for the Chevrolet Bolt. LG Chem and LG Electronics supplied 87 percent of the Chevy Bolt's powertrain, batteries and infotainment system. In fact, the Bolt may be a sobering example of what is to come. According to a UBS report in May, 87 per cent of the Bolt's electric powertrain, battery and infotainment system are supplied by LG Electronics and LG Chem. That doesn't leave much for GM's traditional suppliers. To be sure, the auto industry is wrestling with other technology game changers such as infotainment and self-driving vehicles. But Eichenberg predicts electrification will prove to be a far greater disruption. "If you are not dealing with this today," he warns, "as time goes on you will have fewer and fewer options."